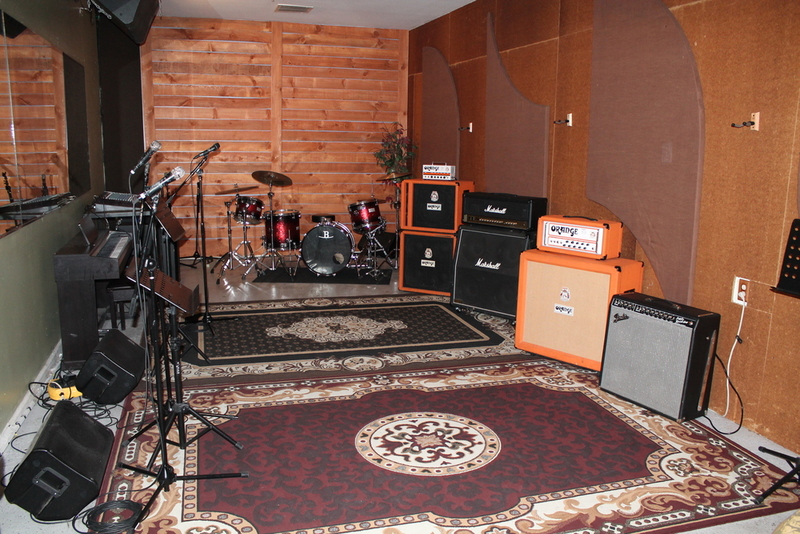 Our premium rehearsal rooms equipped with a powerful PA system, full back line, and much more. Rehearse in comfort and style, you deserve it. Our showcase rehearsal rooms have similar amenities, but slightly different layouts. ROOM F is a very versatile option. Instead of a stage, we have a full length mirror and the option to configure the room for any kind of setup. It's perfect for your 8 piece band, This room also comes with a nice Yamaha digital upright piano. ROOM G is a traditional showcase room with a stage and a front row seat for important people.